Many homeowners in the 5 boroughs understand that they may have to replace or repair their sewer line at some point in their lifetime. Below is a guide consisting of the different cost factors that all sewer and water main contractors must factor when providing an estimate to replace a sewer line or repair a sewer line. 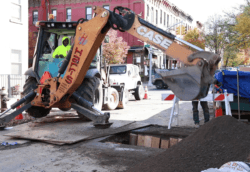 The average sewer line replacement in Queens, Brooklyn and the Bronx will take a minimum of two days to replace the entire sewer line and pass all of the DEP required inspections. There are scenarios where the city sewer is located on the sidewalk; this type of sewer line replacement may be completed in one day. 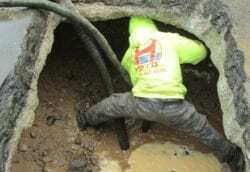 Sewer line replacements in Manhattan are usually more complex resulting in more time and labor to complete the sewer replacement. 1. The distance of the city sewer to the house? 2. 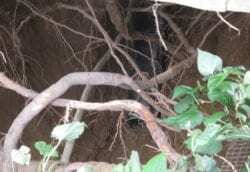 How deep is the city sewer? The average depth of a city sewer is approximately 9’-12’ deep. 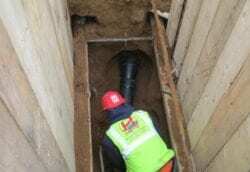 If the sewer is deeper, it may require additional days to excavate, locate and replace the sewer line. 3. Some roadways consist of underground utilities requiring the onsite team to pay extra attention to detail, and dig by hand instead of digging with a backhoe which is more time consuming. 4. Many locations have restricted working hours outside of the normal hours of 7AM-6 PM. When the NYC DOT (Department of Transportation) provides special working hours on a highway permit, it may take longer than the original quoted price to complete the job. 5. Some roadways may require special care when back filling and restoring the roadway which may include additional time to complete as per DOT requirements. If the work is being completed on a “protected or guaranteed street”, a street paved within the prior 5 years this will require additional material and labor cost. (read more on protected roadways here). The roadway may consist of all concrete which is required to be restored in kind with the original condition, the city may also require the contractor to restore a larger portion of the concrete roadway than the contractor worked in. If the excavation process is taking place in a bus pad (designated concrete area where bus stops are located). DOT will require the concrete to be replaced within kind as well as replacing the entire surrounding area from on seem to the next. On average these areas are a 20×10 area. 7. 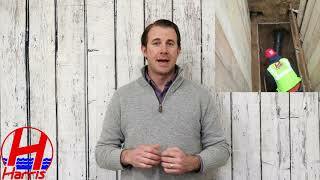 How much concrete restoration will your sewer replacement require? Some sewer installations may require as little as one flag of concrete on the sidewalk to be replaced; in this case the house is usually set back on a grass area. Other areas require large amounts of concrete to be replaced, if you sewer trap is located in your garage it may require a good portion of your driveway to be restored with concrete. 8. In rare cases there are circumstances taking place underground that neither the contractor nor homeowner would have been able to predict. These items may call for additional cost to complete the sewer replacement as per DEP requirements. Early Manhattan settlers obtained water for domestic purposes from shallow privately-owned wells. In 1677 the first public well was dug in front of the old fort at Bowling Green. In 1776, when the population reached approximately 22,000, a reservoir was constructed on the east side of Broadway between Pearl and White Streets. Water pumped from wells sunk near the Collect Pond, east of the reservoir, and from the pond itself, was distributed through hollow logs laid in the principal streets. In 1800 the Manhattan Company (now The Chase Manhattan Bank, N.A.) 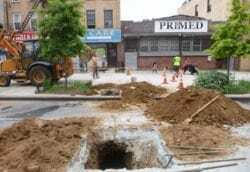 sank a well at Reade and Centre Streets, pumped water into reservoir on Chambers Street and distributed it through wooden mains to a portion of the community. In 1830 a tank for fire protection was constructed by the City at 13th Street and Broadway as was filled from a well. The water was distributed through 12-inch cast iron pipes. As the population of the City increased, the well water became polluted and supply was insufficient. The supply was supplemented by cisterns and water drawn from a few springs in upper Manhattan. After exploring alternatives for increasing supply, the City decided to impound water from the Croton River, in what is now Westchester County, and to build an aqueduct to carry water from the Old Croton Reservoir to the City. This aqueduct, known today as the Old Croton Aqueduct, had a capacity of about 90 million gallons per day (mgd) and was placed in service in 1842. The distribution reservoirs were located in Manhattan at 42nd Street (discontinued in 1890) and in Central Park south of 86th Street (discontinued in 1925). New reservoirs were constructed to increase supply: Boyds Corner in 1873 and Middle Branch in 1878. In 1883 a commission was formed to build a second aqueduct from the Croton watershed as well as additional storage reservoirs. This aqueduct, known as the New Croton Aqueduct, was under construction from 1885 to 1893 and was placed in service in 1890, while still under construction. The present Water System was consolidated from the various water systems in communities now consisting of the Boroughs of Manhattan, the Bronx, Brooklyn, Queens and Staten Island. Since 1842, there have been no significant interruptions of service other than brief annual shutdowns for the purpose of routine inspections during the period from 1842 to the Civil War. In 1905 the Board of Water Supply was created by the State Legislature. After careful study, the City decided to develop the Catskill region as an additional water source. The Board of Water Supply proceeded to plan and construct facilities to impound the waters of the Esopus Creek, one of the four watersheds in the Catskills, and to deliver the water throughout the City. This project, to develop what is known as the Catskill System, included the Ashokan Reservoir and Catskill Aqueduct and was completed in 1915. It was subsequently turned over to the City’s Department of Water Supply, Gas and Electricity for operation and maintenance. The remaining development of the Catskill System, involving the construction of the Schoharie Reservoir and Shandaken Tunnel, was completed in 1928. In 1927 the Board of Water Supply submitted a plan to the Board of Estimate and Apportionment for the development of the upper portion of the Rondout watershed and tributaries of the Delaware River within the State of New York. This project was approved in 1928. Work was subsequently delayed by an action brought by the State of New Jersey in the Supreme Court of the United States to enjoin the City and State of New York from using the waters of any Delaware River tributary. In May 1931 the Supreme Court of the United States upheld the right of the City to augment its water supply from the headwaters of the Delaware River. Construction of the Delaware System was begun in March 1937. The Delaware System was placed in service in stages: The Delaware Aqueduct was completed in 1944, Rondout Reservoir in 1950, Neversink Reservoir in 1954, Pepacton Reservoir in 1955 and Cannonsville Reservoir in 1964. Water for the system is impounded in three upstate reservoir systems which include 19 reservoirs and three controlled lakes with a total storage capacity of approximately 580 billion gallons. The three water collection systems were designed and built with various interconnections to increase flexibility by permitting exchange of water from one to another. This feature mitigates localized droughts and takes advantage of excess water in any of the three watersheds. In comparison to other public water systems, the Water System is both economical and flexible. Approximately 95% of the total water supply is delivered to the consumer by gravity. Only about 5% of the water is regularly pumped to maintain the desired pressure. As a result, operating costs are relatively insensitive to fluctuations in the cost of power. When drought conditions exist, additional pumping is required.